Are you looking to stock more products in your store that highlight the history of Cornwall? 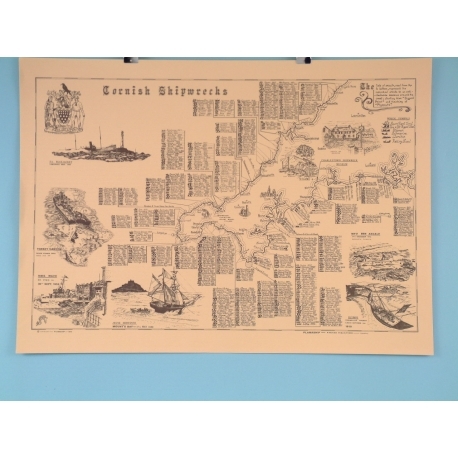 If you are, this Cornish shipwrecks poster is an ideal choice. 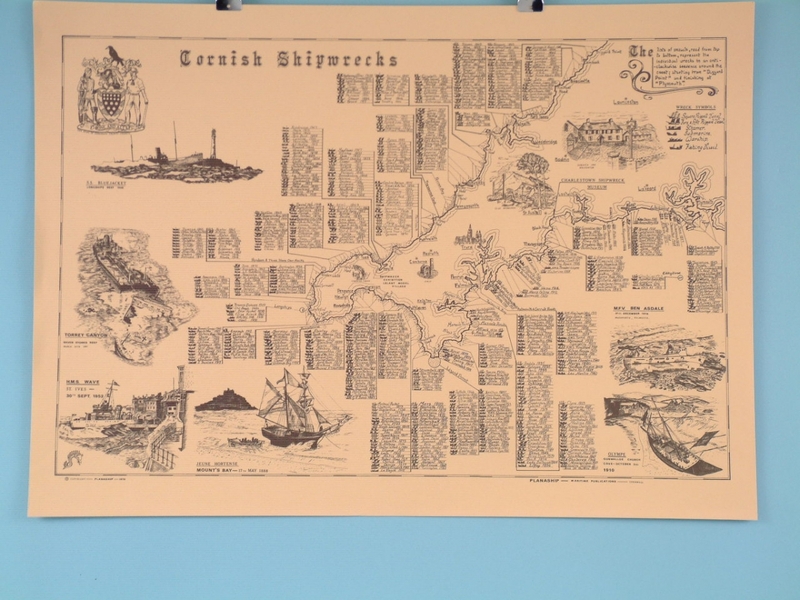 This poster, printed on parchment style paper that has been stained to look aged and worn, details the positions, dates, and ships that has wrecked around the Cornish coastline. Measuring 63cm x 45cm, this poster makes a great gift for anyone with an avid interest in ships and history, and it will look particularly great when professionally framed and hung. Stocking this poster will be highly successful with any customers with an avid interest in ships and history.